WARNING: This article is not for the faint-hearted or for those who have just had their lunch. 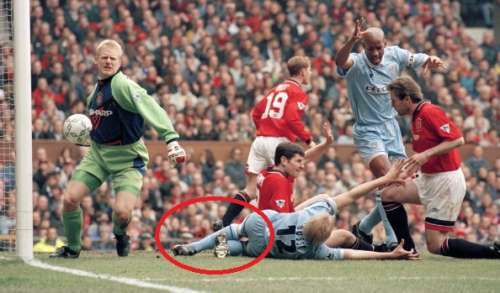 The article contains graphic images and videos of footballers suffering gruesome injuries. Football, by virtue of being a contact sport, has seen its fair share of horrific injuries. Djibril Cisse, Eduardo, Aaron Ramsey, Antonio Valencia, Henrik Larsson etc., and more recently Laurent Koscielny, are just some of the many names that come to mind when we talk of gruesome injuries. Almost all of the above-mentioned players were able to come back from their dark days and forge a successful career. But there were some players who weren’t quite so lucky. Spare a thought for the five players listed below. These players suffered injuries that derailed and destroyed their career, ensuring a premature end to their football playing days. Ben Collett joined Manchester United as a 9-year-old trainee. Progressing through the U-17s and U-19s in 2001 with aplomb, Collett’s performances in the 2002/03 season led to him getting the Jimmy Murphy Young Player of the Year award, a prestigious award given to the likes of Ryan Giggs, Paul Scholes and Phil Neville in the past. Collett also scored a goal in the first leg of the FA Youth Cup final in that season. It seemed then that Collett was well on his way to forging a successful career at Manchester United. Fans likened him to star winger Ryan Giggs, and they had high hopes from Collett. But fate had other ideas for him. 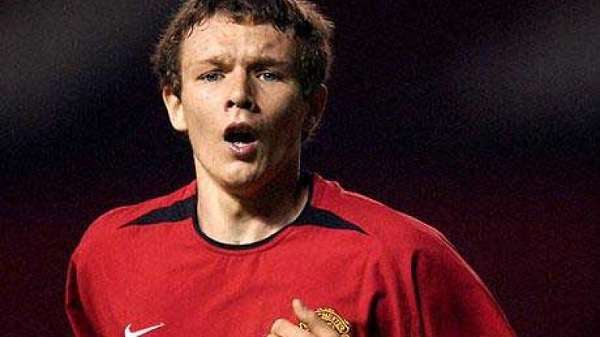 On May 1, 2003, barely a week after winning the FA Youth Cup, Collett was selected for a reserve team game against Middlesborough. An ill-timed tackle by Middlesborough’s Gary Smith resulted in Collett’s leg being broken in two places. The injury ended Collett’s career, days before he was to be offered a three-year contract at the club, which meant Collett lost out on the chance to earn millions of pounds through contractual agreements and merchandising fees. In May 2008, five years after the injury, Collett opened legal proceedings against Gary Smith and Middlesborough, citing loss of future earnings. Sir Alex Ferguson and Gary Neville were amongst the witnesses called in for the case, to give evidence of Collett’s talent. Middlesborough FC and Gary Smith admitted their liability in the case, and in August 2008 Collett was awarded £4.5 million in damages. Mr Collett’s solicitor Jan Levinson said the award ‘reflects Ben’s talent and potential prior to the tackle as one of the brightest young footballers in the country’. Man Utd vs West Ham Fan Reaction | *Rant* - We Need To Take Chances!!! !